WENTZVILLE, Mo. -- A 9-week-old Missouri baby whose father is accused of sticking his fingers down the child's throat to stop his crying has died after what authorities believe was a short lifetime of abuse. Wentzville Assistant Police Chief Paul West says the boy died Monday at a St. Louis hospital after a family court judge ordered that he be removed from life-support. A hospital ethics committee signed off and the boy's parents didn't challenge the decision. According to KTVI-TV, the horrific incident began with the infant doing what babies do: crying. The parents, 19-year-old Robert Burnette and 20-year-old Megan Hendricks, are charged with felony child abuse or neglect. Police said the infant's father, Burnette, couldn't deal with the crying, so he shoved his fingers down the baby's tiny throat trying to reach the boy's larynx to stop the crying. Police said they got these details from the child's mother, Megan Hendricks, who investigators say stood by and watched, making no attempt to stop the abuse. 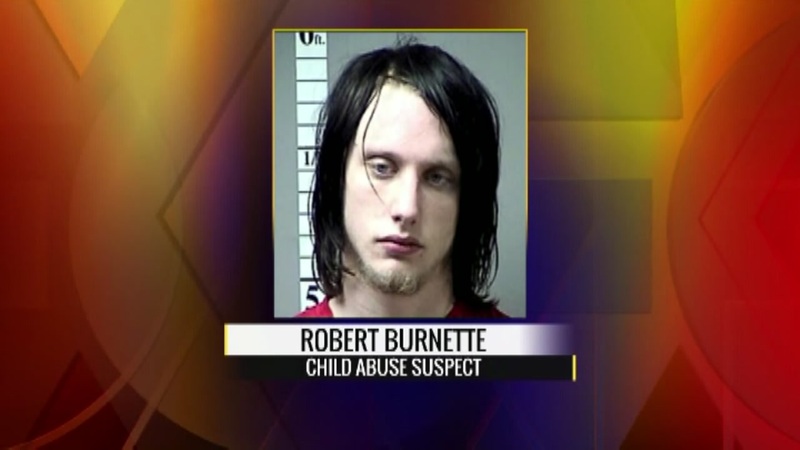 According to court records, Burnette also threw the baby onto a bed, violently shook him and picked him up by the back of the neck at the couple's apartment in Wentzville. The baby, identified only as JB, was hospitalized with a number of critical injuries, including broken bones, possible liver contusions and bleeding on the brain. Police say Burnette shoved his fingers down the infant son's throat to make the baby stop crying, violently shook him, picked him up by his neck and threw him against a wall.